Is Russia Fishing in the Murky Syrian Waters? As many as 250,000 killed and millions turned refugees at the last count, with the toll continuing to mount. That is the kind of a humungous conflagration that the nearly five-year-old civil war in Syria has been threatening to engulf the entire region in. Besides the US and its Western allies such as France and the UK, quite a large number of militant groupings like the Islamic State (IS) and al-Qaeda have been fighting the war. The assorted forces that are fighting for dislodging the government of Bashar al-Assad have been receiving armed and financial support from the Sunni-dominated countries in the region like Saudi Arabia, Turkey and Qatar. 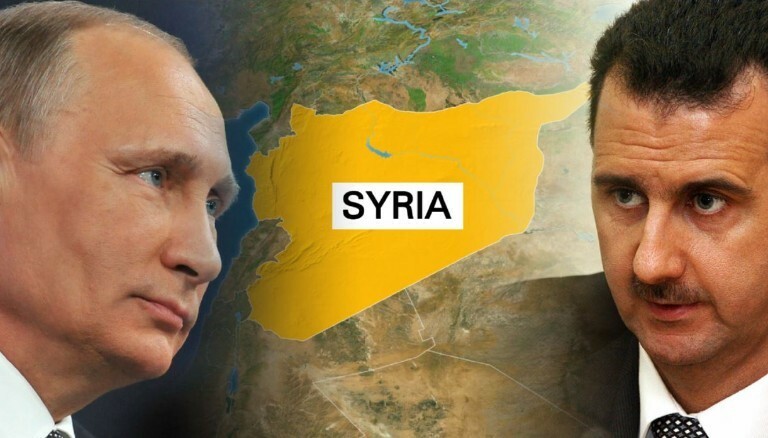 Legitimacy was the watchword used by Vladimir Putin of Russia while his country swaggered into the Syrian quagmire over three months ago, to play the devil’s advocate and rescue the Syrian government. Tagged by the Assad government, desperate for military help against rebel and jihadist groups, Russia threw itself headlong into the imbroglio. Joining forces with the Syrian army, Iranian Revolutionary Guards and the Hezbollah, Russia directed the ire of its aerial supremacy on Syria’s principal tormentor, the ISIS, which Putin had sworn to annihilate. Several other military groupings like Al-Nusra Front and the Army of Conquest, locked in a bitter war with the Syrian government, got pounded too in the bargain much to the chagrin and discomfiture of the US and its allies, which had been backing non-ISIS militants fighting for the ouster of the Assad government. The Russian President defined at the outset his country’s role in the multi-pronged war as helping in the stabilization of legitimate power in Syria and the creation of conditions favorable to a political compromise. The Russian move came neither as a startling development nor as a coup d’état conceived overnight. The military operation had been thoroughly prepared – none too imperceptibly – well in advance. In any case, Russia had, as a staunch ally, already been supplying arms to the Syrian army particularly for the purpose of countering terrorist threats that had reached “insurmountable sizes” in Syria, which was being torn asunder by a gruelling civil war. During a ten year period starting 2000, the quantum of arms supplied by Russia to Syria amounted to US$1.5 billion, making the latter the seventh-largest client of Russia. Besides the continuance of supply of weaponry, Russian assistance included training of Syrian military personnel and deputation of military advisors notwithstanding the ongoing strife. Russia further supported the Assad government by vetoing Western-backed resolutions in the UN Security Council in 2012, which envisaged economic sanctions and military intervention. Earlier, Russia’s call for the formation of a united front against the ISIS had been turned down by the US and its allies, which were against the inclusion of the Assad regime in the front. This bolstered Russia’s claim that the US was in covert operation in cahoots with the non-ISIS military groupings fighting against the legitimate Syrian government. On its part, the US expressed its doubts and misgivings about the motivation behind the Russian military intervention. The US had reasons to believe that Russia’s aim was not merely restricted to the annihilation of the ISIS but the vanquishing of all the Syrian militant groups fighting for the ouster of the Assad government and the very democratic process in that country that had triggered the civil war. The misgivings of the US gained currency when the Russian aerial bombings targeted, besides the ISIS, all opposition forces that were party to the nearly five-year-old civil war, and tilted the balance in favour of the Assad government. Furthermore, the Russian military operations were not restricted to a mere three-month period as had been initially stated but became an open-ended campaign. The range of the aerial assaults mounted was enhanced both in terms of the types of the modern fighter aircraft used and the number of Syrian bases covered. In short, the Russian military engagement has been augmented both numerically and in substantive strategic terms. Furthermore, Russia’s military presence in the region became a prolonged affair with a speculative agenda. Russia and Syria have remained staunch allies all along. Their support for each other had withstood the tests of time, including the cold war period when Syria braved the Western opposition to its open support for the erstwhile USSR. In the backdrop of such a scenario, where bilateral relations between the two nations have grown from strength to strength notwithstanding the vicissitudes of the global realpolitik, it would be far too simplistic to expect Russia to yield ground to the pressure by the regional militant forces and the US and bring the curtains down on its time-tested ties with the beleaguered nation. Now both Russia and Syria need each other much more than ever before – the former for the strategic assets that Syria has to offer and the latter for its very survival against the burgeoning menace of Sunni dominance in the region, which the Caliphate of ISIS menacingly foreshadow. Russia’s interest lies in the retention of the naval base on the Syrian coastline and the eavesdropping centres within the Latakia mountains intact. Besides, having just emerged victorious from its military campaigns in its Ukrainian backyard and the surrounding East European areola and emboldened by having successfully called the bluff of the EU-NATO clique, Russia was in no mood to let its guard down and allow the Western dominance of the Middle East and the Gulf region go unchallenged. Remaining a silent spectator to the unfolding of the regional developments that would help the perpetuation of the US hegemony in the Middle East and the Gulf would entail Russia’s forfeiture of easy access to the strategic Afghan theatre of the global war on terrorism. Putin was well within the realm of reason to believe that the lengthening shadow of the US influence in the region and the impetuousness of the Western powers to overthrow the legitimate governments of the region like those of Saddam Hussein of Iraq and Muammar Gaddafi of Libya in the past and the regime of Bashar al-Assad that is currently perilously close to doom, constitute an ominous sign of a grandiose design against the legitimate and yet autocratic rule of Moscow. In the circumstances, it would not be too wild an exercise in speculation to surmise that it was Putin’s acrimony to the bellicosity of the Western powers, which had his position of authority in the crosswires that led to his belligerent move in the Middle East. Although Russia has succeeded in clipping the wings of a rogue ISIS albeit with the help of Iran and the legitimate Syrian armed forces, and dented other Syrian military groups as well, the war is far from over. Aerial attacks by the US and its Western allies have also had a limited dissuasive effect on the winning streak of ISIS, which has managed to retain its hold on vast swathes of territory in western Syria and northern Iraq, including oilfields. The foot soldiers of ISIS have managed to dig in their heels by taking cover in the thickly-populated Syrian cities of Raqqa, Homs, Ramadi and others, making it increasingly difficult for the enemies of ISIS to flush out its cadres from their hiding holes without inflicting heavy casualties on Syria’s civilian population. The aerial campaigns by Russia and the Western coalition seem to have thus hit a plateau, with the scope for a comprehensive victory becoming lesser by the day. In any case, even the limited success accomplished by Russia in its aerial campaign was by no means easy. Nor did it come without a hefty price. The shooting down of a Russian passenger aircraft over the Sinai Peninsula by ISIS has enlarged Russia’s susceptibility to international terrorism like never before in the past. Its fight against terrorism had thus far been restricted to the anti-Russian forces of the North Caucuses. The opening of a new front in Syria has brought Russia closer to the web of international terrorism. In fact, Putin has unambiguously stated that Russian military action in Syria was essential for protecting Russia from extremists based there, and the primary goal of the air campaign was to fend off that threat. He has further revealed that Russia has also been assisting some units of the opposition Free Syrian Army that were fighting “terrorists” in Syria by offering them air cover and supplying them with weapons. In a nutshell, Russia is fighting along with the legitimate Syrian forces and the Western coalition, with ground support from some anti-Assad militants, a common enemy in IS, al-Qaeda and assorted terrorist groups, with its own interests back home being of supreme concern. 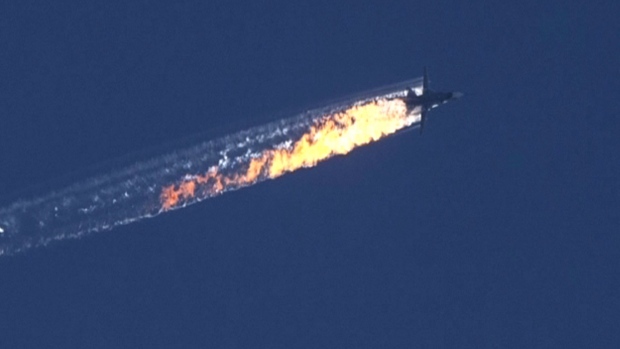 The Russia-Turkey bilateral relations nosedived when a Turkish Air Force fighter jet shot down a Russian Sukhoi Su-24M bomber aircraft, in a case of the first destruction of a Russian or Soviet Air Forces warplane by a NATO member-state since the Korean War, near the Syria–Turkey border on November 24, 2015 for allegedly flying into Turkish airspace despite repeated warnings. While US sources supported the Turkish charge that the Russian aircraft was indeed flying over Turkish airspace, Russia categorically refuted the charge and claimed that its aircraft was actually flying over Syrian airspace while it was shot down. It also stated that the US had the flight path of the ill-fated aircraft and should have informed the Turkish authorities of the same. The US promptly denied that the flight plan had been intimated to its authorities by the Russian military. Charges and counter-charges between all the three dramatis personae flew thick and fast, vitiating the overall atmosphere. The unusually harsh expression used by President Putin while lashing out at Turkey – that it was trying to “lick the Americans in some of their private parts” – was indicative of the abysmal low to which the bilateral relations had plummeted. Bilateral relations between Russia and Turkey, which had started picking up momentum after the US-USSR Cold War, began souring after the shooting down of the Russian Air Force jet. The Russian and Turkish governments, however, assuaged the feelings of each other by stating that they would refrain from initiating a war just because of this incident. Nevertheless, Russian Foreign Minister Sergey Lavrov spoke of a serious reevaluation of his country’s relationship with Turkey. Military contacts between the Turkish and Russian Armed Forces were snapped by the latter. The Russian Ministry of Defence announced that future airstrikes in Syria would be escorted by fighters. It also announced that Russia would deploy S-400 surface-to-air missile systems to Khmeimim airbase in Syria, where the Russian Aerospace Forces group was stationed. On its part, Turkey countered the Russian move by installing the KORAL electronic jamming system along its southern border with Syria. In a subsequent development, a Russian destroyer fired warning shots at a Turkish vessel in the Aegean Sea purportedly to avoid a collision and Turkey’s military Attache at Moscow was summoned by the Russian Foreign Office over the incident. Notwithstanding the fact that this incident further exacerbated tension between the two countries, authorities in Ankara made light of the situation by asserting that the Turkish vessel was a mere fishing boat, and the Russian reaction was exaggerated. The Turkish Foreign Minister did not stop short of warning Russia that the patience of Turkey had a limit. With the heightening of tension and mutual distrust between the two sides, the situation is as fraught with uncertainty as is a tinderbox. There were developments on the consular and economic fronts too. Alleging that Ankara had become a conduit for terrorists, Moscow charged that it had been reluctant to share information with the latter about Russian citizens accused of involvement in terrorist activities. Moscow announced that it would halt the existing visa-free regime with effect from January 1, 2016. Putin signed a decree imposing economic sanctions on Turkey. In terms of the decree, chartered flights from Russia to Turkey were banned, tour firms selling holidays in Turkey prohibited, Turkish imports of certain commodities outlawed, and the economic activities of Turkish companies and nationals halted or curbed. Russia went on to blame Turkey for being the biggest buyer of “stolen” oil from Syria and Iraq. The Kremlin also accused the family of Turkish President Recep Tayyip Erdogan of being directly involved in the trade of petroleum with the Islamic State. These sanctions are bound to have an adverse impact on the bilateral relations between the two feuding nations, which had steadily improved during the last ten years, leading to Turkey becoming one of Russia’s principal and permanent energy markets. Besides, notwithstanding the NATO-Russia tiff over the Ukrainian issue, Turkey had come forward to compensate Russia’s needs for agricultural products that used to be imported in the past from Europe but discontinued due to the massive European sanctions imposed on Russia. Against the backdrop of the blooming economic cooperation between the two nations, Russia’s economic sanctions are likely to entail its forfeiture of the benefits from the thaw in relations in the post-Cold War period. Vladimir Putin is, however, characteristically upbeat about the damages inflicted by the Russian air power on IS and has warned that its air campaign in Syria would continue until the start of a political process. Conceding that the Western economic sanctions over the Ukrainian issue had begun to hurt Russia, he has called the EU sanctions a “theatre of the absurd” and asked the Western countries to collaborate more willingly with Moscow in the fight against IS. The President has also stated that Russia and the US agreed on a general approach to settling the Syrian crisis and expressed Moscow’s readiness to improve ties with Washington. Meanwhile, he has also welcomed a US-drafted UN Security Council Resolution on solving the Syrian crisis, presented by US Secretary of State John Kerry during his visit to Moscow in mid-December 2015. The Russian leader further said his country’s approach coincided with the US vision in terms of joint work on a Constitution, the creation of tools of control over early elections as well as holding the vote and recognizing its results on the basis of that political process. His comment on the fate of President Bashar al-Assad was both guarded and loaded, when he said, “The Syrians themselves must determine who rules them.” In simple terms, Moscow’s concern was about the continuance of a pro-Moscow dispensation at Damascus, Assad or no Assad. To this end, Moscow was willing to cooperate with Washington. This is part of a cautious diplomatic manoeuvre by Putin, who is in no mood to play Russian roulette or place his bets on an Assad, with dark clouds of uncertainty looming over his head, which lies uneasy with the crown of Syria perilously perched. This entry was posted in blog on February 5, 2016 by admin. Success or failure of the joint coalition against the IS depends on whether the participating countries are ideologically on same grounds. US and Russia are main players and they are to focus on removal of IS and not on their own conflicts. The whole line of family of the Syrian President enjoyed autocracy by exposing their country to terrorism and militancy. Until democracy is set in middle east nations nothing will improve. Islamic State and their Caliphate thoery is a threat to the entire world. Prior to politicising the Yemen and Syrian civil wars globally, forces should ensure turning down the influence and hold of Islamic State. Syria and Russia are in the need of each others support. Syria has its rich reserves and strategic location and Russia has its mighty power and even its seat in the UNSC. This is why they are helping one another since decades now. All crisis created by first the Uniked Kingdom’s imperialism and then U.S. industrialization that needed coal and gas from West Asia. Now US say that they will bring peace to these places. What a contradiction! Bashar-al Assad is the real conspirator behind the emergence of a group like ISIS. Had he not allowed militants rise and rome freely in his country, ISIS would never have reached this far. Infact India must support Russia’s campaign against militancy in Syria because the Shite led Syria government and backing of Iran are all in favour of India as against the Sunni dominated Saudi and Pakistan. Turkey downed Russin aircraft only when it entered their limits and went far from the Syrian limits. Now that Russia is kind of all alone after the Crimea crisis, U.S. and its pity partners will spare no chance in taking over Russia. It is time that India maintains good relations with both Russia and Iran. After lifting of sanctions from Iran, they can become a strong partner for India in terms of energy needs, and Russia is an all-time brother of ours. Where is IS earning money from? To which countries are they selling the oil produced from oilfields in their capture? Turkey is definitely buying this oil that comes fro, Iraq and Syria. Russia should look more Intrusively to Develop Its own Nation as a Strong, Independent Truly Global Economy rather than World war as We are yet to see Ruble as a Credible Global currency. as NATO today is one major world force & almost the ruler of the world Economy, Business, Freedom, Independence & World Decision making too & This is what the New Russians do not like. Also there is a vast History of the USSR being blown apart by US forces in the past & now that Europe is along with US( as the NATO now) So is the Ukrainian crisis & all this. Also we feel that NATO(US & Allies) should stop interfering in every part of the world affairs as US is unnecessarily growing Enemies by interfering in Sovereign affairs of other countries too – Most of China disputes with US are due to this & Russia anyways has a vast history of International police-man-ship of the US & allies. As a World Citizen – We are sick of Wars & Terrorism really ! We all want a Peaceful world & do not want our US Friends to Die either & neither others. When can we have True Global peace ? Are the world leaders trying to make peace OR Are they just trying another reason to Fight Wars ? USA Today is highly a Sick & Blown apart country & it needs real Health & Economic boost & NOT Just Obama-care Insurance policy & Showmanship as in the past. & We need a Safe USA too & no Terrorist attacks on our Businesses. Can anyone in the world Try for World peace instead of Waging Wars with each other ?